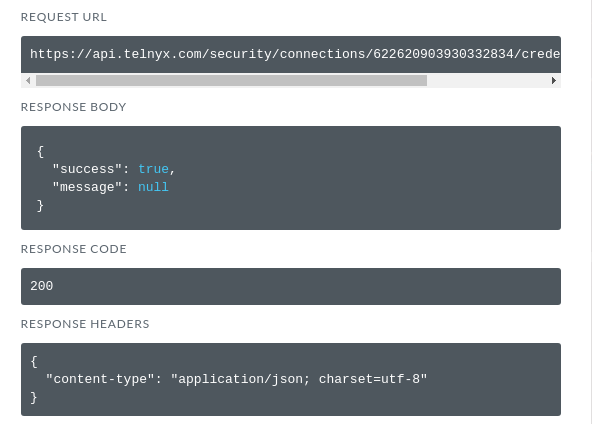 You can use this endpoint to create credentials for an existing connection. 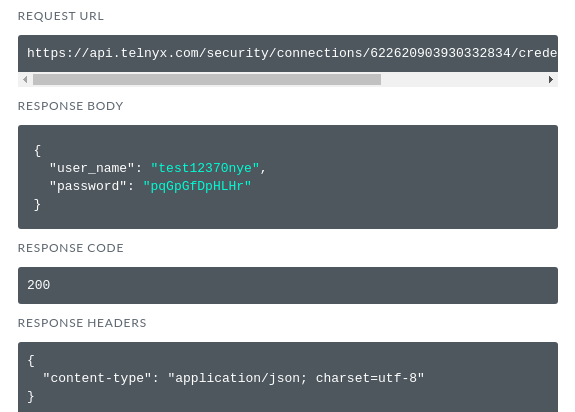 Beware, this will override any other authentication types set for this connection. Congratulations, you've just set your connection to use credential based authentication! 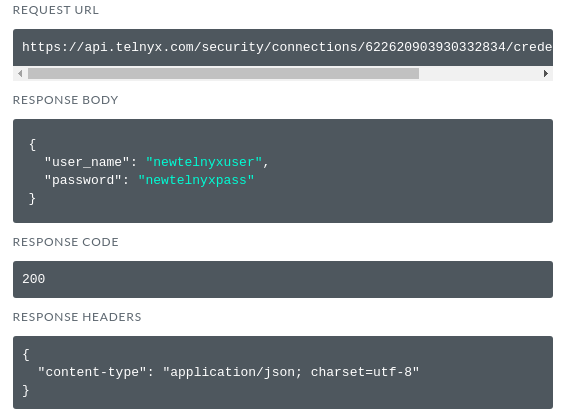 We can update credentials for any credential-based connection by using the "Update credentials for a connection" endpoint. Congratulations, you've just updated your connection credentials! 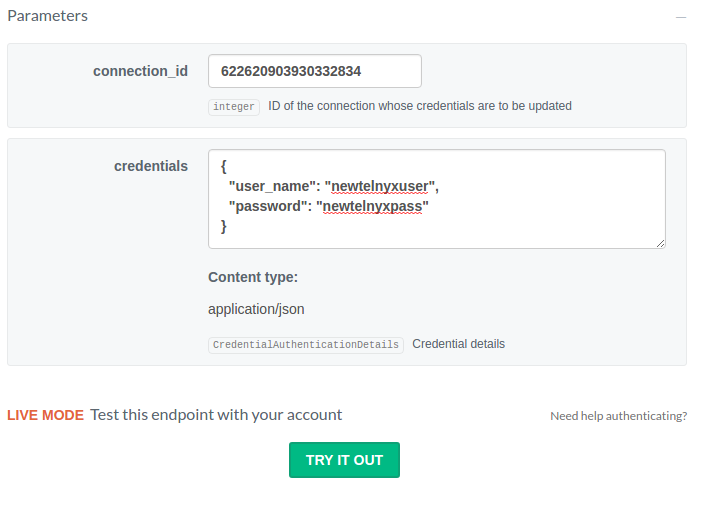 We can get a suggestion for our credentials for any credential-based connection by using the "Get a credential suggestion" endpoint. 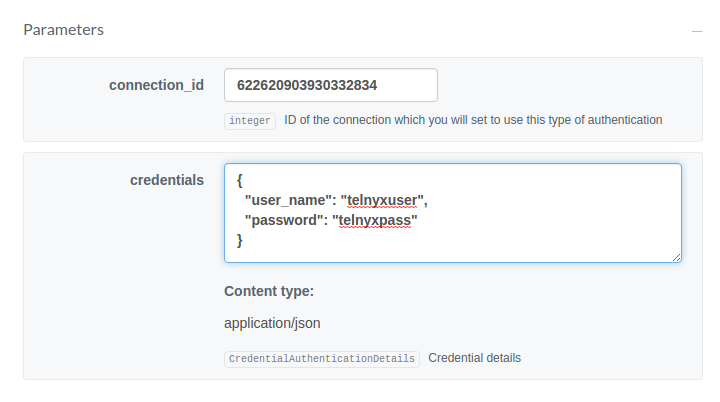 To get a credential suggestion, simply enter the connection ID into the 'connection_id' box of the connection you would like the suggestion for and click "TRY IT OUT".